The WWE has found itself in a bit of a rut recently. Injuries and suspensions have left their roster depleted, storylines and characters aren’t quite popping like they used to, and nobody on the undercard seems prepared to grab the reigns and make a name for themselves. And worst of all, these problems are sure to become more pronounced when Raw moves to a permanent three-hour format. 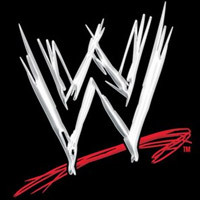 Kofi Kingston has been on the main WWE roster for about 50 years. He’s a handsome, charismatic guy, his aerial skills are top notch, and he has a fantastic physique. But, what do you really know about him? What sets him off? What are his weaknesses? Is he married? Can he cook? A perfect example of successful execution of something like this in wrestling is the Eugene/Triple H storyline from the summer of 2004. During what seemed like a throwaway joke in an interview segment with the Rock, Eugene admitted that Triple H was his favorite wrestler. This was paid off months later when the two characters were brought together and the audience already knew it’d be easy for Triple H to manipulate Eugene. These things may seem like minor points, but think of how layered your favorite fictional shows became in their latter seasons. There is a definite narrative benefit to knowing that Monica Gellar-Bing is a neat freak and that Sam Malone is a recovering alcoholic. NAME DROP ALERT: Reality TV legend Mark Burnett once told me that the trick to really good reality TV is to focus on the losers. If you think about it, after a “Survivor” challenge, every member of the winning tribe is feeling elation. Meanwhile, different members of the losing tribe can be feeling shame, anger, grief, resentment, and a whole host of other emotions. What does this have to do with wrestling, Gordon? I’m getting there. The first major title change I ever witnessed was when Hulk Hogan defeated Randy Savage for the WWF Title at Wrestlemania V. While I was psyched that the Hulkster had defeated his former Mega Power buddy, I was infinitely more interested in what would happen to Savage. 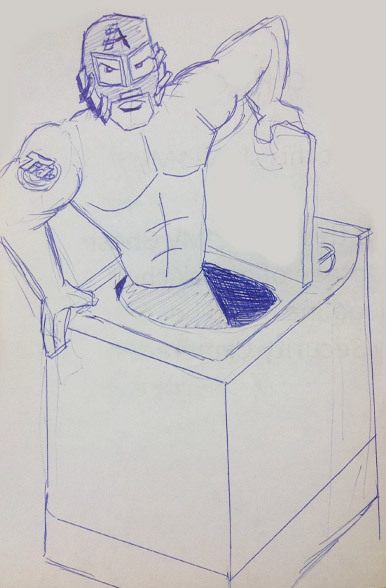 Knowing how wound up and angry Savage was when he was on top of the world, I couldn’t wait to see what he’d be like now that he found himself without his precious title. If I remember correctly, he didn’t appear again until an episode of “The Brother Love Show” a few weeks later. You can bet I had that day marked on my calendar. Nowadays, that kind of thing wouldn’t happen. Odds are you’ll see the former champ the next night on Raw. 1.) It helps break up the three-straight PPVs with the same title match on top funk they’ve found themselves in. 2.) It’d give the workers a much needed rest. 3.) In the case of a losing face, the crowd would be itching to see their favorite return. In the case of a losing heel, something about that kind of time off makes a bad guy seem more dangerous. 4.) It’ll put some heat on the first wrestler to break the rule. 5.) It would put over the importance of the title. Hulk Hogan has gotten some grief lately for his plan to have fans go all TMZ on the TNA talent. Apparently he wants them to follow the workers around as they take their laundry to the cleaners, drop their kids off at school, and any other time they’re out in public. I think he’s got the right idea, it’s just not being implemented correctly. I don’t think you’re going to find any genuine emotion from the Miz as he cuts a promo on Ryback on his way to P.F. Chang’s. I’d send documentary crews with these guys on the days leading up to the big shows. The competition in these matches may not be real, but the jitters and nerves that lead up to them are. Whenever a major title change takes place, I’d have cameras on both the winner and the loser for the next 24 hours. You may laugh and say neither guy is really winning or losing anything, but any changing of the guard is bound to produce some real feelings. For the winner, there’s the pride in climbing to the top of the business as well as the stress that comes with being someone the company is relying on the drive revenue. For the loser, there’s sure to be some professional concerns that the loss of the title could represent his last time as a top name. Either way, it’s sure to create fascinating television. This entry was posted on June 12, 2012 at 5:19 pm and is filed under Wrestling Whatnot. You can follow any responses to this entry through the RSS 2.0 feed. You can leave a response, or trackback from your own site. Hogan always won by losing. He was the focus of every loss. And yes Wrestling does badly need other characteristics. 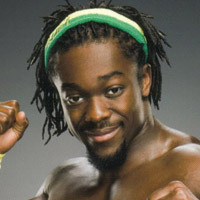 Kofi should just be a smoking black man that really loves soccer and blondes. But then by making specifics might turn off people. Like a video game protagonist that has hair.